Wyndham Vacation Rentals in Northwest Florida is the perfect family destination for a comfortable getaway. Crescent Condominiums offer stunning views in Miramar Beach, FL. 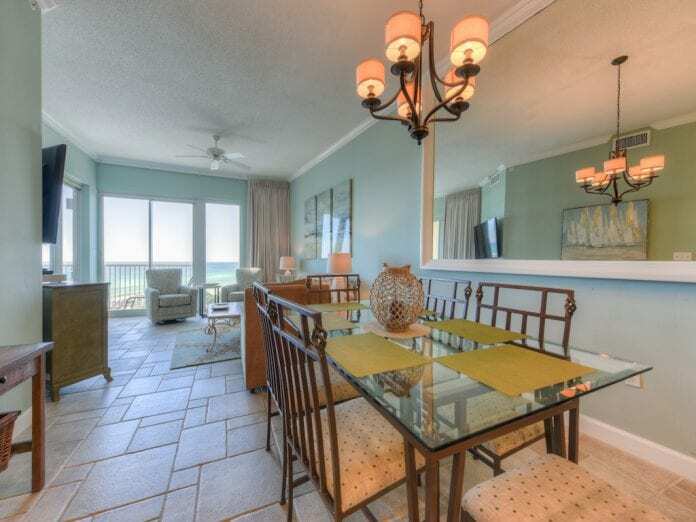 Enjoy beachside convenience or do some laps in the pool. Visit www.wyndhamvacationrentals.com/northwest-florida for more information. Dining is a delight on the panhandle with fresh seafood galore. While there are plenty of dining options, Trebeaché offers beach style elegance, fresh flavor and clever creations. Located on the renowned County Rd 30A, the restaurant offers a diverse and intriguing menu. For starters, check out the oyster platter, offering three types of oysters. The shrimp and crab brings a delicate blend of flavors with toasted garlic, lemon and wine. The garlic butter and crisp pork belly is served with a warm spinach vinaigrette tossed in anisette. The enriching platter continues with yet another sizzling oyster topped smoked cheese and house made adouille. For an entrée, consider the potato wrapped grouper, a fresh catch encased in shredded hashbrowns. It is perhaps one of the most ingenious presentations, full of flavor and simply fun to eat. Save room for dessert. The strawberry shortcake is a fluffy, heavenly texture, topped with a cream that is not too sweet. The pistachio crème brulee is decadent, served with a biscotti. Visit www.trebeache.com. For a more casual experience, check out Stinkys, owned by the same management. The local hot spot is in high demand and doesn’t take reservations. The fresh “catches” can be grilled, blackened or lightly blackened and are served on sautéed vegetables and cubed potatoes. A must get is the seafood chowder which is loaded with thick cubes of crab. Visit www.stinkysfishcamp.com. Another option is to dine in and get some of the coast’s freshest at Destin Ice Seafood Market & Deli. Visit www.destinice.com for more information. The deli packs for travel and ships overnight.